Damage done to Richard of Eastwell’s tomb…. There really are some morons around. If they’re caught, I hope they are punished – by being publicly named and then hurt in their bank balance! Although they are regarded as loose ends, the last Anglo-Saxon and last Norman kings of England are both Richard’s ancestors, via Edward III’s marriage. This document demonstrates Phillippa of Hainault’s descent from Harold II, via Kiev and Hungary, and Stephen, via the Low Countries. There seems to be little news from Faversham Abbey, where Stephen was originally buried. Richard III and White Surrey…. Once again, while rooting around for information that might be of use in a book I intend to write about figures in the court of Richard II, I have found an interesting snippet. This time my thoughts are jolted with regard to the name of Richard III’s horse, White Surrey. I have never particularly liked the name, and know that there is some doubt about its veracity, but even so, it is what we all call the great white courser he rode at Bosworth. Anyway, my interest in Richard II centres on his Holland half-brothers . . . and so I have been going through “The Hollands, Dukes of Exeter, Earls of Kent and Huntingdon, 1352-1475” by Michael M.N. Stansfield, which is the most detailed work about this family that I have found so far. In 1399, Richard II made a very ill-judged expedition to Ireland, and while his foolish back was turned, the exiled Henry of Bolingbroke, Duke of Lancaster, soon to be Henry IV, invaded England and took over. Among the lords who were with Richard in Ireland was his half-nephew, Thomas Holland III (viscountessw note: his father and grandfather were also called Thomas), Earl of Kent, who had taken his wife and a lot of property with him. When news of Bolingbroke’s invasion reached Ireland, a very hasty return to England was soon underway. This return was bungled, and Richard’s party was soon in Henry’s hands. The unfortunate king would be deposed and executed, the Epiphany Rising of his remaining supporters would be betrayed, and they too would met unpleasant ends. Meanwhile, the Countess of Kent had been left behind in Ireland, in charge of her husband’s property. When she too returned to England, bringing his goods and belongings with her, she was apprehended and the property seized. Bayard March, Lyard Exeter and Bayard Perrers were (I imagine, but cannot be certain) the three coursers, and in the notes to this passage, Stansfield clarifies that Bayard meant bay-coloured, and Lyard referred to being dappled with white or silver-grey. March, Exeter and Perrers are clearly references to noble titles or families. Exeter, for example, refers to Thomas III’s uncle, John Holland, Earl of Huntingdon and Duke of Exeter. As for White Surrey, in 1483 the title of Earl of Surrey was held by John Howard’s (Duke of Norfolk) son and heir, Thomas. I almost wonder if the horse could have been a gift to Richard from one or other of the Howards. It seems possible that by naming their horses in such a fashion, aristocrats were following an accepted norm, and suddenly I feel I understand Richard III’s choice of White Surrey for his great courser. Perhaps someone knows much more on this subject. If so, I will be delighted to learn.
. She showed how Julian, who was female by the way, was born during the fourteenth century. She may well have had a husband and children but lost both to the Black Death before becoming an anchoress at St. Julian’s, Norwich. Ramirez spoke about Julian’s magnum opus: Revelations of Divine Love, the first known book in English by a female author, quite revolutionary in tone and probably composed during the reign of Richard II and prominence of John of Gaunt. On the deaths of these two men, the religious atmosphere changed dramatically. Under the Lancastrians, Lollards were regularly burned and already being dead, as Wycliffe could testify, did not ensure safety. Julian would have been in great danger if her manuscript had been read more widely at this time. She died early in Henry V’s reign of natural causes and was probably in her seventies at the time but the story does not end here. Her manuscript was taken to France to avoid the Reformation only for the French Revolution to strike. The nuns caring for the document saw some of their French sisters mount a tumbril and return in two pieces for their burial. The manuscript re-emerged during the last century, to be viewed as a feminist tract. And a grand time will be had by one and all! Would Richard have recognised this view of Westminster….? This illustration is from a report about the Westminster World Heritage Site that dates from 2007. It contains some interesting information and rather good illustrations, especially of what the site looked like in late-Medieval times. Worth dipping into. The view above is how it is believed the abbey and palace looked circa 1532, or thereabouts, so perhaps not that far removed from the Westminster Richard would have known. Perhaps I should add that this particular illustration is much clearer and easier to read in the actual article. 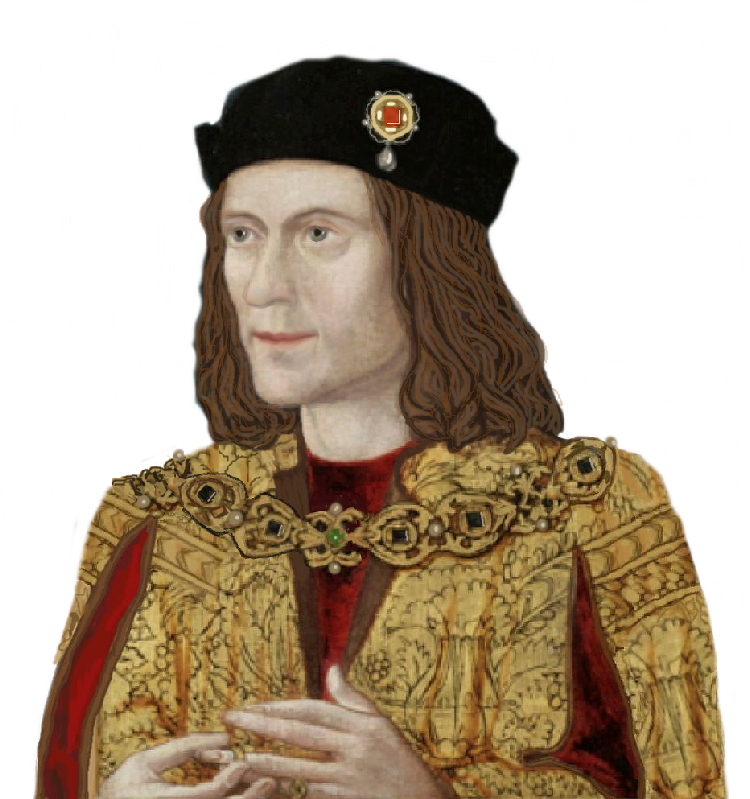 A version of River Soar myth about Richard III, now disproved by the finding of his lost grave? No, but the above story is almost certainly the origin of this once pervasive myth. It was John Wycliffe, who produced the first Bible in English, whose bones met this fate. A Yorkshire man, who was educated at Merton College in Oxford, he was a noted theologian and philosopher, who became the rector of Lutterworth in Leicestershire. He wrote books that were considered heretical and was accused of inspiring the Peasant’s Revolt. His followers, the Lollards, were often persecuted…and executed…long after his death. He himself remained a threatening figure to the church even years after he died of a stroke. As he had escaped the normal heretics’ punishment of death by burning, when he lived, it was decided to vent the punishment on his remains. So his skeleton was disinterred, burned and hurled into the River Swift. Somewhere along the line, this true tale ‘grew in the telling’ and changed, as such stories often do; repeated over and over with added embellishments and errors they lose their original meaning and only retain fragments of the truth…in this case, that the remains of a persecuted man had been dug up from the grave by a mob and thrown into a Leicestershire river. To the average person, centuries after the event, who was better known and more interesting to tell such tales about, a slain King or a heretical theologian? The mythologisers had put the wrong man in the wrong river. 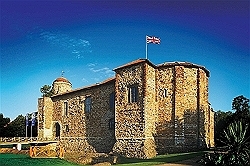 Have you ever visited Colchester Castle? The guide book is very informative about three thousand years of the town’s history, particularly the 1989 revision, which I have. Page twenty names some 23 people who were imprisoned there and burned during 1555-8, together with two more who died there before they could be executed. Some of their cells, in the south-east corner, can be visited today. This amounts to eight per cent of the usual estimate (about 280) of those put to death under Mary I through the revival of “de heretico comburendo”. Some suggest that 280 is an exaggeration of the real national total, perhaps inspired by writers such as Foxe, but that would make 23 in Colchester even more significant. Many of them came from neighbouring villages, of course, but the general impression is that the authorities in North Essex, as they were in Suffolk, were particularly tough on cases of suspected heresy. Support for this conclusion can be found from Paul Johnson’s Elizabeth I: A study in power and intellect. Pages 53 to 54 emphasise that “they (the victims) were concentrated very largely in the south-east of the country”, including 67 in London, 11 in Middlesex, 39 in Essex and 59 in Kent, compared to 1 in the north and almost none in Wales and the West except 10 in Gloucestershire. Johnson also emphasises that they were “of the younger generation” and ” from the economically advanced areas of the country”. Surely I can’t be the only one to look at this famous likeness of Richard’s father, the Duke of York, and see two goofy front teeth….? <g> Yes, yes, I know it’s his lower lip, but I’m afraid that since the thought struck me, those two ‘front teeth’ are all I see. Can you imagine him issuing orders on the battlefield? Would he whistle through the gap? OK, OK, too much flippancy and irreverence. I’ll shut up.